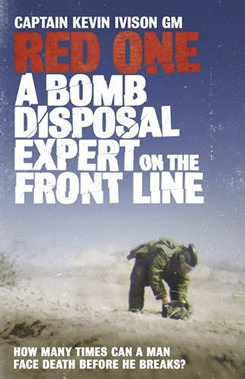 Red One is the gripping memoir of Captain Kevin Ivison’s experiences as a young bomb disposal officer in Iraq facing daily rocket attacks and terrorist Improvised Explosive Devices (IEDs). With only two weeks left before he is due to leave Iraq, Kevin is tasked to defuse a sophisticated bomb by hand, under fire, with a crowd of many hundred Iraqis hurling petrol bombs and with two friends killed by an earlier explosion lying only yards away. Against overwhelming odds and with little chance of survival, Kevin leaves final messages for loved ones before walking to what he is sure will be his death. He survives and is awarded the George Medal for his gallantry but this is where his real battle begins as, suffering from Post Traumatic Stress Disorder (PTSD), Kevin fights his own demons and the Army medical system to recover his mental health. The son of a soldier, Kevin Ivison was educated at Welbeck College and the Royal Military Academy Sandhurst. 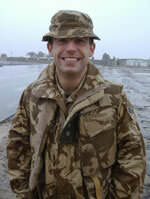 He was commissioned into the Royal Logistic Corps in December 2000 aged nineteen and spent most of his career in counter terrorist operations focusing of bomb disposal and weapons intelligence including deployments to Afghanistan, Iraq and the Balkans.In September 2006 he was awarded the George Medal for gallantry defusing a bomb under fire in Iraq. "...the author of the gripping memoir Red One...tells it superbly...Ivison – who this book proves to be a gifted writer as well as a genuine hero – draws out the tension of this nightmarish scene over some seventy nail-biting pages that literally left me sweating in terror." " ...as gripping, agonising and memorable as any military memoir." "Absorbing…a taut, riveting account. " "The honesty with which Kevin relays his fear, his overwhelming sense that he is going to die, is impressive." "Red One is plain-spoken, heart-thumping stuff ." "One of the most compelling and emotionally honest accounts of contemporary conflict I’ve ever read." "Capt Ivison’s bravery in the face of…deadly situations is recounted in colourful detail in Red One."